Welcome back once again Bruthas and Sistas. Thank you for not being tardy and get seated, because we have a few years of wrestling history to cover this week. We left off in the wake of the 1980 Showdown at the Shea, which was a successful moneymaker for the McMahons. 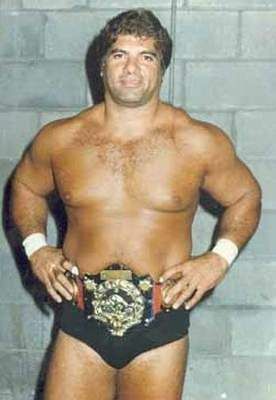 Ken Patera retained his Intercontinental Title, and the team of Bob Backlund and Pedro Morales had captured the World Tag Team titles from the Wild Samoans. So let’s pick things back up there, in the Summer of 1980. Due to Bob Backlund still being the WWF Heavyweight Champion, the office moved to have he and Morales vacate the titles, because in those days you just didn’t see the Champ carrying two of the major titles in the territory. Main reason being, that it effectively split the their ability to draw by having one guy carrying half of the gold in the promotion, and tied the hands of the booker to keep the card fresh. The Wild Samoans stepped back into the breach and regained the belts after a tournament was held that September. Tony Garea and Rick Martel immediately went after the belts and the teams feuded through the Fall, when they finally took the titles from the Samoans in November at the Philadelphia Spectrum. They would carry those titles into 1981 before being unseated. Backlund also had a of run against an opponent of note as the decade fired up. He went into a feud with a young Hulk Hogan, flanked by Freddie Blassie, that resulted in many sellouts and the youngster establishing himself as being able to draw, and turn heads. After this series of matches Hogan left the WWF to go to work for NJPW, where he had become wildly popular. He also was being scouted to work in the upcoming Rocky III movie, but Sr. advised against the venture. 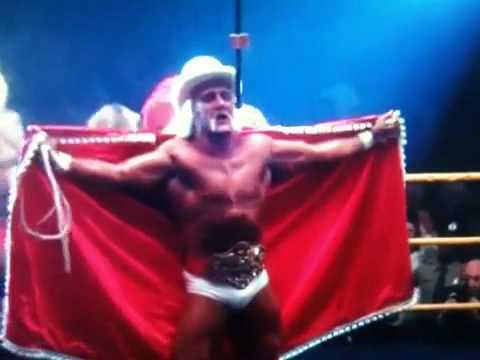 This caused Hogan to take his other offers into consideration and, ultimately made the better decision for his “long game”, by taking the role of Thunder Lips in the film. It is one of the first things that really launched the career of Hogan on the entertainment level, giving him exposure to a huge segment of the American population that may have never heard of him prior to that. We will get back to Hulk when he returns to the WWF in 1983. While Hogan was headed to Japan, another man was arriving from there to work in the territory in early in 1980 as well. He was one of my favorite heels and had a huge impact on not only mainstream wrestling in this country, but made his presence felt in pop culture Americas as well with the marketing of his gimmick in the first great wrestling video game. We all remember Killer Khan from Nintendo’s classic Pro Wrestling game, but his journey started years earlier. Born in the turbulent years following WWI in Niigata, Japan, Masashi Ozawa’s early life is mostly undocumented. 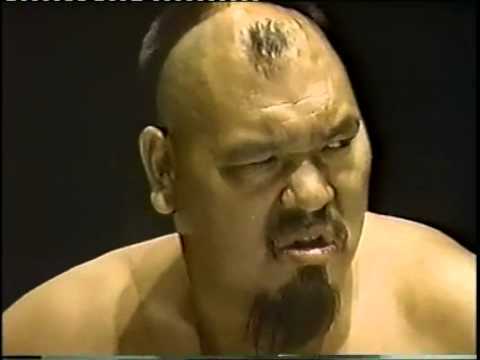 He was involved with the Mongolian wrestling and Sumo scenes in Japan prior to meeting Karl Gotch, who saw the potential in the young man and took him the States to introduce Ozawa to the American professional wrestling scene. He was picked up quickly by Sr., who liked his Mongolian heel gimmick and put him with Freddie Blassie. Khan fell into a feud with Bob Backlund, getting a shot at the Heavyweight Title. For several months after his arrival he was the “go-to” heel that all the top guys went up against, including Andre’. The two men were locked into a heated rivalry that would eventually span across the ocean to Japan where we would see the Giant working more of a heel to their local son in Khan. I will include a rare look at one of these matches for you to enjoy seeing a mean, and ill tempered Giant in action. The two ran a hot angle in 1981 where Khan broke the ankle of Andre’ with a kneedrop off the top rope. The company used this angle to remove a truly broken Giant and had his ankle tended to, then brought him back against Khan in a revenge angle to complete the story with Andre’ winning the Mongolian Stretcher Match in November of that year. Khan’s fame took him to the road and he would be away from the WWF for a few years after finishing up with Andre’. Pedro Morales also started to make inroads to acquiring the Intercontinental Title with a run of matches that propelled him up the rankings. With having his tag title vacated, this set him on the hunt for IC gold, which led him to Ken Patera in December of 1980. After a string of matches, Morales finally defeated Patera, becoming the first ever Triple Crown Champion in the company’s history by holding the World, Intercontinental, and Tag titles in his career. He held this distinction for nearly twenty years by himself before anyone would join that elite club with him. He too would be challenged by Killer Khan for his title but held onto it for six months before a true contender would emerge. 1981 saw several villains enter the WWF lexicon as the new decade started ramping up. The East-West Connection were coming off a strong run in the AWA and the two men arrived in the WWF to continue this winning streak they had experienced in Minnesota. It would not be as they had hoped and after several losses the two men decided it would serve them better to work in singles competition. Both Jesse Ventura and Adrian Adonis had several shots at Backlund’s World title but never were able to seal the deal and bring home the gold. I have always felt that Ventura was better served behind the mic as the announce table. While his in-ring work wasn’t bad per-say, it never really grabbed my attention as much as his lewd and lascivious commentary did. A native of Minnesota, born James Janos in July, 1951, of Slovakian and German descent, Ventura grew up in a proud mid-western household that held firm foundations in the Lutheran Church. At age eighteen, he enlisted in the Navy and went into the SEALS, earning his rank in underwater demolitions. Though he never saw any time in country during the Vietnam War, he is staunchly patriotic about his military service and used it as part of his platforms to win positions in political office at not only the Mayoral level, but went on to become the thirty-eighth Governor of Minnesota in 1999. When I think of Jesse “The Body” Ventura, however, my thoughts will always go back to his time in wrestling, specifically the WWF, along with his appearances in Predator and Running Man more-so than his political accomplishments. And that Bruthas and Sistas, is the power of pop culture. It was his counterpart or the East end of the Connection that always made me take attention when he was in the ring. 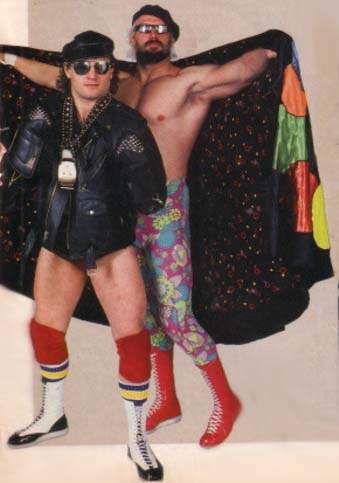 From the leather clad biker, to his own Adorable, one of a kind take on the Gorgeous George gimmick, the man that became famous as Adrian Adonis was so good at being bad, that he could bring you to your feet and pluck any emotion from you that he chose. Born in the frigid city of Buffalo, New York in September 1953, Keith Franke was born into the business. His father Keith Sr. was a manager for the local promotion and in the NWA circuit. A fan from his youth of the old WWWF, and Maple Leaf out of Canada, the youngster decided to follow that dream and started his training in 1973. 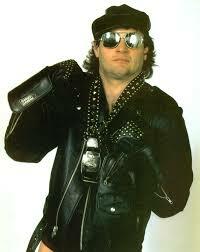 He debuted the following year with his biker gimmick, and took to the heel like a fish to water. The great heels have it naturally in them, whether it be an antagonistic type of attitude, or a legitimate mean streak. For those of us that have both, it can be volatile combination. Adonis had that welling inside him, and had the abundance of intelligence in the psychology of the business to know how, and when to make use of it for maximum effect. Whether he was stomping your guts out in the East-West, or flopping out of the ring and running to the protective embrace of Jimmy Hart at ringside, he knew how to pull you into his narrative so well. It was art, and even at the end of his WWF run when he was obese, and covered in make-up with flowers in his hair….he was a Rembrandt amongst finger painters. We will hear more from the “Adorable One”, (in my best Gino Monsoon voice), in the years that follow. Adonis and Ventura weren’t the only ones that were taking Pedro Morales and Bob Backlund to task. Another bad guy had been blown into the States on the jet stream known as the Pineapple Express. Hailing from his home state of Hawaii, the man that would be Magnificent, first got to the WWF in 1981, but he had a few stops on his way there. Don Muraco was born on the island of Oahu just after WWII, in 1949. Muraco broke into the business in the Portland territory working for Don Owens. He moved down the west coast and after a short stop off in the AWA, he began to bounce back and forth between Shire’s San Fran promotion and CWF in Tampa. After making a name for himself and getting noticed by the right people in New York, he was offered a job with the WWF. He made his debut in 1981 under the management of the Grand Wizard. He stepped up to Morales with a serious challenge to his Intercontinental Title and took it from him on June 20th of that year. To say he hit the ground running in the promotion would be an understatement. He drew the ire of the fans, and the approval of his peers with his run against Pedro. They battled back and forth over the course of the two years. It was when he regained the title from Muraco in a Texas Death match in November that he became the first ever two time IC Champ. The two men put on hard hitting matches that left the crowds shaking their heads at the brawls they would engage in. Morales wasn’t the only champion having problems with a tough adversary during this time, and he too would have to deal with this challenger before it was all said and done. Greg Valentine had made his way back into the promotion and wasted no time in taking a shot at Bob Backlund. They met in October of 1981 in New York City in a match that saw Backlund win, but the belt was awarded to Valentine by the woozy referee who botched the finish. This put the title up in the air and left both men proclaiming victory, but with the office behind him, Backlund came out on top of the situation. While the title was vacated for a month, Backlund regained the belt in late November at the Spectrum in a steel cage re-match. This would be the second time in his tenure that Backlund’s lineage would be tarnished. While not officially recognized by the company as losing the title during this time, history clearly holds that up in dispute. Either way, the All American Boy took back his belt and held onto it for the next two years. Valentine’s quest for the gold wouldn’t be dashed and he turned his unending focus onto the other singles title of note, and honed in on Pedro Morales. The two fought through brass knuckles and Texas Death matches, but Morales would not relinquish his coveted IC Title. Valentine continued to work between the WWF and MACW. After his feud with Morales he left to go back to the Southeast and had his historic dog collar match with future WWF alum Roddy Piper. While not a WWF moment, it is a seminal point in professional wrestling history. History was made that year in the WWF as well, however with the retirement from the ring of The Living Legend, Bruno Sammartino. He wrestled his last match for the company in New Jersey then finished up a few dates in Japan before returning to the WWF to take on commentary and office roles. This was short lived however, because it was brought to Bruno’s attention by his co-worker in the company, Angelo Savoldi, that he had been shorted money from his second run as Champion by the McMahon’s. 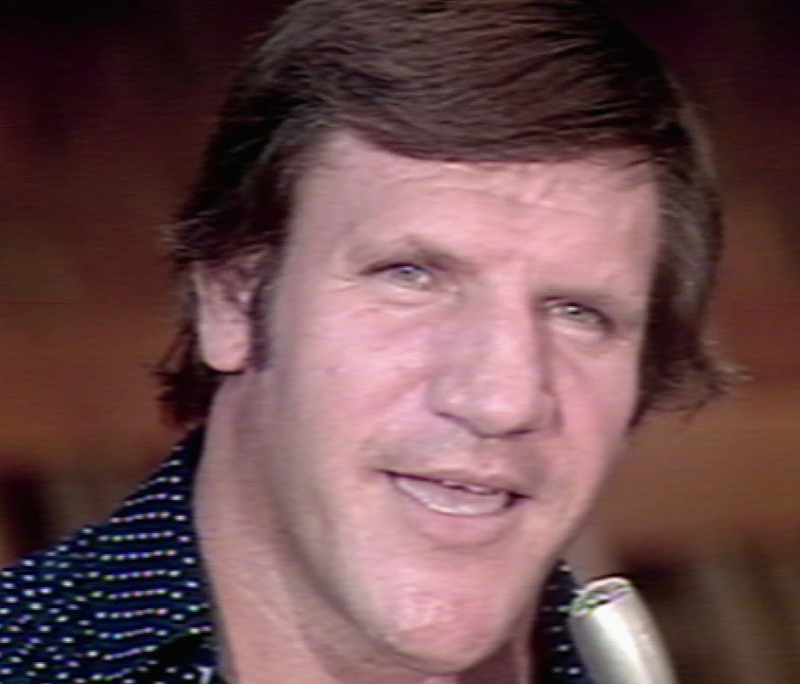 The lawsuit filed by Sammartino against the company put a great strain on the relationship between himself and Vince Sr., but never really stopped Jr. from working with him in the future. The lawsuit dragged on throughout the next few years, and Bruno would not be seen in the company until 1985. This period of time also ushered the entry into the company by another wrestler who would go on to become integral in Jr.’s expansion of the business in the years to come. He is another example of how the Golden Era of the Eighties created pop culture icons, not just wrestling legends. I’m sure that if you told Robert Remus in 1979 that a decade later he would be at the forefront of a cultural movement in this country he would have laughed right at you. But, that is exactly what happened. Remus was born in the Summer of 1948 in Detroit, but his family soon moved to Minnesota where he found accolades in his high school football and wrestling teams. After graduation he enlisted in the Marine Corps, where he went on to become a Drill Instructor at their famed, and feared, Parris Island facility in the swamps of South Carolina. I lived only a few hours from there when was in SC, and the summers are brutally hot. It is truly the “air that you wear”. The Sarge worked his way through the NWA and had a strong run in the AWA as well before he showed up in the Northeast market at the end of 1980. He was brought in under the wing of the Grand Wizard and with his feared Cobra Clutch finisher, he soon made his presence known to all the boys in the back. He had a run at Backlund’s title but never managed to bring it home. His feud with Pat Patterson produced some of the best matches of that era and when they met in May of 1981 in MSG for their “Alley Fight” Match that has affectionately came to be known in the wrestling circles as the “Boot Camp Match”. The two men put on a smash mouthed brawl that should be on the list of great stories told in the ring that any young hopeful in the business needs to study. Slaughter left for a run in the NWA and overseas with partner Don Kernodle that kept him away from the company until he would return in 1983. We will catch back up with him then. After the Boot Camp match, Patterson’s role in the company began to change and he shifted to working more in the office and talent development. His on-screen role changed as well and he started to work the color commentary position next to Vince Jr. The two men forged a strong friendship that would see Pat climb up through the company as the power shifted more to the younger McMahon. As the years passed on Pat would become one of Vince Jr.’s closest confidants and creative consultants. One of my favorite out of the ring personalities, as well as another McMahon insider, showed up in 1982, but his history in the business begins a few years earlier. Lets take a minute to acknowledge the beginnings of the career of Lord Alfred Hayes. 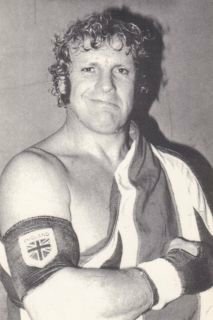 Long before he was the chuckling aristocratic foil to Bobby Heenan and Vince McMahon on The Bobby Heenan Show or Tuesday Night Titans, the London born Brit was in the martial arts scene in his Motherland. Born in 1928, he grew up in the looming shadow of Germanic conquest, and the Nazi Invasion. He attended college at North-Western Polytechnic, where he also was introduced to judo. He excelled at the sport and used this knowledge to assert himself into the British wrestling circuit, taking on all the biggest names of the day. He made his way to America in 1972, at the midpoint of his life, but just the beginnings of his career. 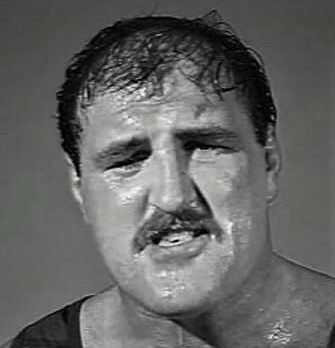 He nearly held the NWA Heavyweight Title that year when he defeated Dory Funk Jr., only to have the decision reversed when Funk was disqualified due to interference by his father Dory Sr. This tactic was the only thing that saved the title for Funk and kept Hayes out of the record books. Lord Alfred also worked for Muchnick’s St. Louis Wrestling Club and north of the border for Lutte Internationale. It was after he left there that he started working for the McMahons as a road agent, but that evolved into him doing spots on the television tapings. This brings to the Lord Alfred that we’re all familiar with and that made me laugh so many times as a fan. He will be turning up alot in the installments to follow this one. In January of 1982, a five foot-ten inch, two hundred and thirty pound, ripped Fijian hit the wrestling scene and took no prisoners in his high flying assault on the territory. 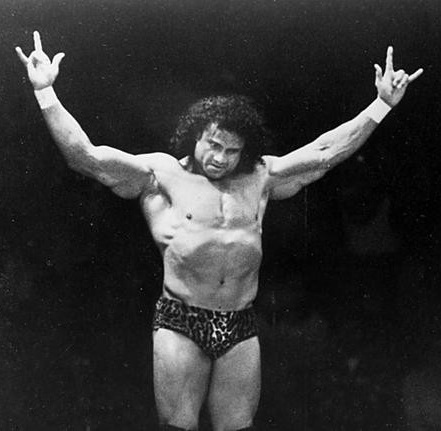 James “Jimmy Snuka” Smith was born in 1943, and moved to Hawaii in the late Fifties. He broke into the business after he was spotted working out at Dean Ho’s Gym. Like most Islanders he made his first big impact on the west coast, and in his case it was working for the Portland promotion. He became affiliated with the NWA fans and worked his way to Texas and then onto the Northeast, where he was introduced to the fans as a crazed islander that was accompanied to the ring by Capt. Lou, which linked him to the other Wildmen in the Samoans. 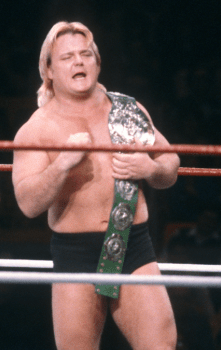 He put in work against Backlund, nearly taking his Heavyweight title after attempting to splash him from atop the steel cage in a match that was voted Match of the Year in 1982 by the Pro Wrestling Illustrated magazine. Snuka soon dropped Albano and turned babyface in a feud that ended out the year for him. The World Tag Team title scene was marked with several title changes since The Wild Samoans had dropped them to the team of Tony Garea and Rick Martel in 1981, but only between three teams. They dropped the belts to the Moondogs, Rex and King, who was replaced not long after by Moondog Spot. Garea& Martel regained the belts a few months later and held them until October of 1981, when the team of Fuji and Saito firmly stepped back onto the scene. They were unseated in the Summer of 1982 by the pair of Jules and Chief Jay Strongbow. The brothers only had the titles for a few weeks before the Japanese team defeated them in a rematch in Alletown, Pa on the Championship Wrestling television program, helmed by the team of Patterson & Vince Jr. The Strongbows took the titles back on the in the Fall of 1982 and kept them as the company rolled into 1983. Vince Jr. also made the final strides in making the company his own in 1982 as well. He purchased the Capitol Wrestling brand from his father Vince Sr., who officially stepped back and let his son take total control of the day to day business of the WWF. Titan Sports absorbed Capitol and Vince, almost overnight, sought to nationalize his product and started to implement the changes he deemed necessary to do so. He will step into 1983 completely on his own, and calling the shots he sees fit to dominate the market from coast to coast. Andre’ the Giant saw one of his most formidable opponents, as well as one of the men he loved to pummel in the ring come back to the WWF that year also. 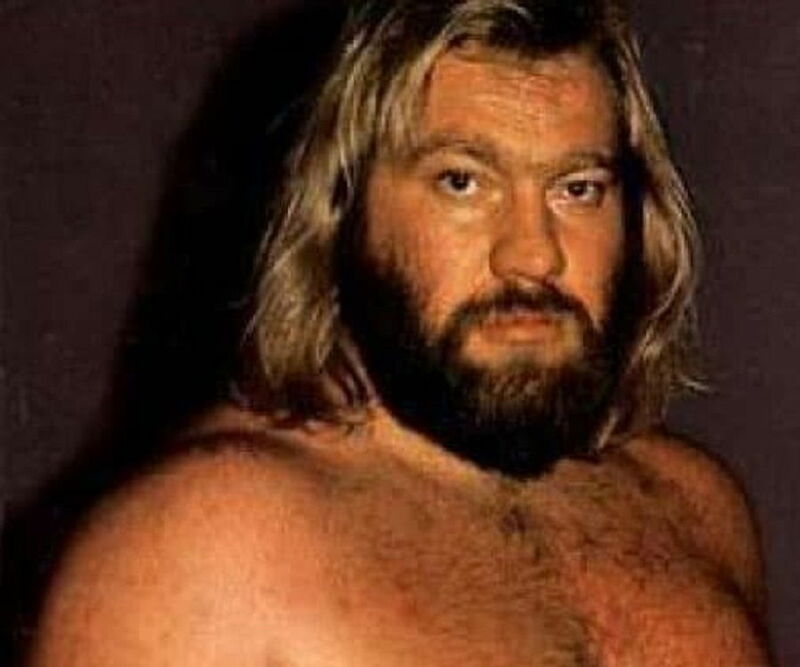 Big John Studd had been working in the AWA, and but Vince made one of his first moves in talent recruitment when he enticed Studd back to NYC. He and Andre’ set into a feud that sold out arenas and left Studd bruised all the way to the bank. Managed by Freddie Blassie, the heel duo issued a Body Slam Challenge with a price of ten grand in cash to anyone, including Andre that the fans flocked to see. 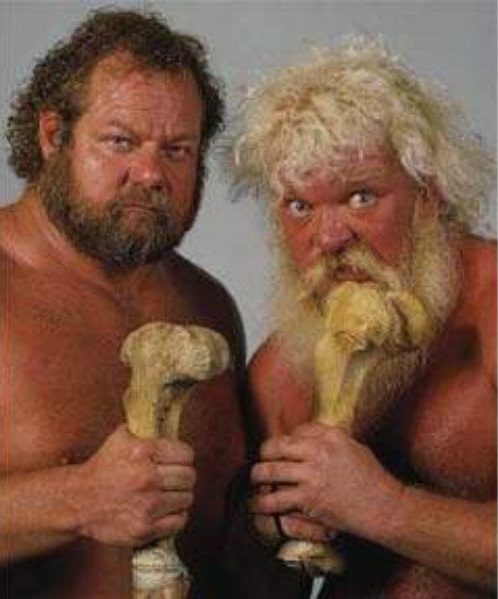 They worked the angle to the hilt and the two fought for years to follow in order to prove who the true giant of the WWF was. Pedro Morales had taken all opponents that whole year in defense of his Intercontinental Title, but it was Don Muraco that came calling again at the end of the year, who would leave him empty handed going into 1983. The two met on January 22nd in NYC to battle once more for that title. Muraco got the best of Morales once again and took the title back for his own to head into 1983 with the much contested belt. He put to rest a run of four hundred and twenty-five with Morales as Champ. We will pick back up with him next time, in Part VII. Well, Bruthas and Sistas, the bell is about to ring and I think it’s as good a time as any to stop here for this installment of our history class. Things are headed firmly in the direction that Vince has set in his vision for the business. The years that are to follow will set the stage for his eventual conquest of the wrestling kingdom as we know it. I’ll see you next time, and always remember; Our wrestling history is gold….DIG IT!!!! !